Our Turf Care Program is unique like no other. We don’t just fertilize your lawn and spray some weed control. Each property is special to us. Our goal is to take your property from ok and make it the best lawn on the street. of fertilization and weed control. Each application that is applied to your property has been carefully analyzed to make sure it will be effective and efficient while providing the nutrients your lawn needs. Our program starts out with 7 Full applications of fertilization and weed control. We will continue to prevent crabgrass with another application of pre-emergent. 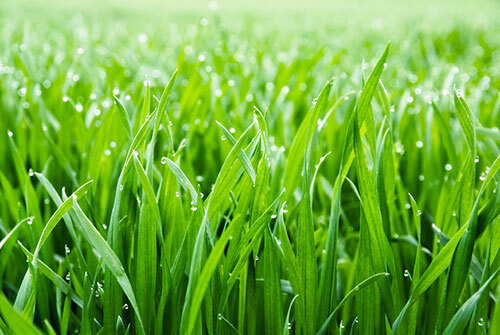 We definitely do not want crabgrass in your lawn. This application will also feed the lawn again and eliminate any weeds. Temperatures are starting to warm up and we still continue to feed the lawn and also keep it green. Any grassy weeds like nutsedge will be sprayed to keep your lawn looking its best. Clay soils tend to be more acidic which can lead to your lawn care program not performing as well as it should. By applying lime, we can maintain the ph making sure your not out of range. Our starter fertilizer blend will increase other nutrients in the soil to help promote root growth for new seed germination. This application will prepare your lawn for winter. An extra feeding will keep your lawn looking great throughout the winter months. Call us today to get started with your lawn fertilization. 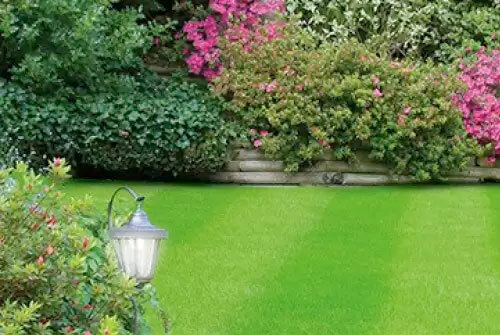 As your lawn is starting to wake up from winter it needs to be fed. This application will get your lawn going and supply the correct nutrients your lawn needs to succeed. Continuing to feed the lawn increasing health, root development, and vigor. Any weeds will be eliminated. This application will prevent annual weeds from germinating in your lawn over the winter months. It is like a protection layer. It will also feed the lawn and clean up any weeds that are starting to pop up. A beautiful lawn doesn’t happen by itself. Call us today! I just signed up, when will my first application be applied? How long will it take for the weeds to die after my application? The weeds will start to die immediately after your application. However, some weeds will take 7-10 days for you to notice due to temperatures and type of weeds. Most broadleaf weeds will be gone within a few days. It just rained after my application. Will it still work? Yes, our applications are designed to be watered in for the products to be activated. Rain will help activate the products and help get them started. I have bare spots in my lawn, can you reseed now? We can only reseed in the fall. If areas need to be repaired in other parts of the year, we would suggest patching with sod. Can you let me know when you’re coming to apply an application? Yes, upon request, we can add a text notification to your account. You will be notified the day before you application via text message that we will be servicing your property the following day. How soon can I let my children or pets on the lawn? Please wait 15 minutes for the application to dry before letting children or pets back on to the property. Will my pets get sick for the chemicals? No, the products we use are labeled safe for residential lawns at the current rates and should not cause any harm to animals or humans. Make sure that the application is dry before letting your children or pets back onto the lawn. I have brown patches forming in my lawn, what do I do? Give us a call along with sending in a photo. You most likely have brown patch disease forming. We suggest signing up for our disease program to prevent damage to your lawn. During the summer months, most lawns need at least 1” of water a week. Every irrigation system is different. There are many factors such as sprinkler head type, nozzle size, spacing, etc. We suggest you become very familiar with your irrigation system. We email out suggested sprinkler settings monthly. Can I mow my lawn right after an application? Absolutely, it will not cause any harm and will help move the products into the soil. How soon should I start to see an improvement? You should start to see improvements after the first application. Yes, its that fast. Our products are custom blended for DalaCasa only and they work fast.